This is an article published in our December 2017/ January 2018 Issue. 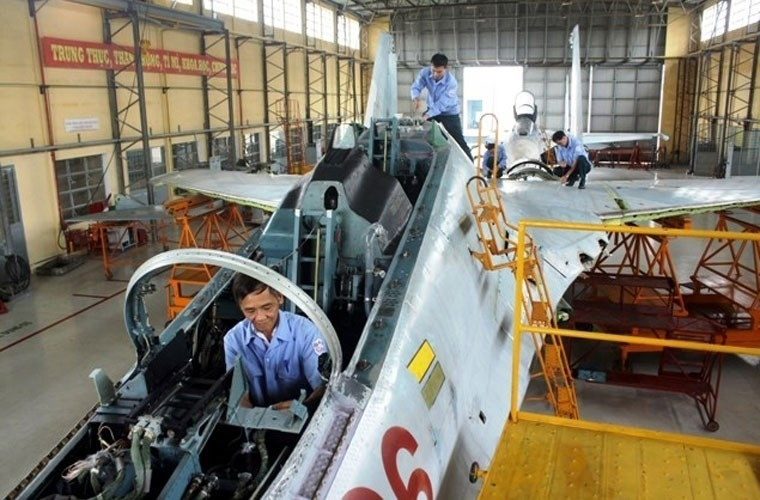 Maintenance and repair capacity is being extended to support the Vietnam People’s Air Force Su-27s and Su-30s at Workshop 6, Factory A32 in Da Nang, Vietnam. (Photo: BaoDat-Viet). Considering the cost of MRO over the lifetime of a platform, it is only recently that this vital capability is being built up in Asia Pacific. 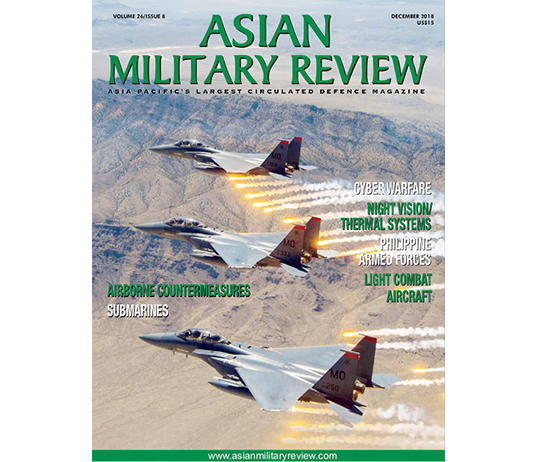 Asia-Pacific nations are increasingly acquiring a host of modern military platforms which are not only more costly to buy and operate, but need a correspondingly higher financial investment to pay for their through life costs. Maintenance, repair and overhaul (MRO) budget commitment is often also parallelled by the need for mid-life upgrades to keep the equipment serviceable and relevant, and many millions of dollars are spent supporting programmes through decades of operational life. Asia-Pacific is becoming increasingly aware of the need for the provision of MRO capacity, and investment is being made to generate local support and repair providers. The geography and weather of the Asia-Pacific ranges from high mountains where engines can struggle to operate, through to an abundence of maritime islands (offering high corrosion rates) with the temperature usually hot and humid. All this adds more burden to the equipment being operated there, so the maintenance of these systems is key to them being effectively ready for operational use. Additionally, due to the nature of political relations in the Asia-Pacific, military exercises are often carried out, which almost always use operational equipment which further impacts on the operational life of the platoforms in use. The military vehicle MRO market is expected to be worth $24 billion in 2017, with growth of 3.67 percent CAGR leading to an increase to $34.4 billion by 2027, according to a report by Research and Markets. 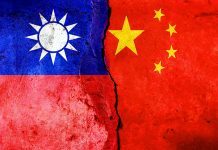 This demand is expected to be led by the Asia-Pacific, which will take a 27 percent share of the market, followed by North America with 25 percent. The cumulative market for global spending on military armoured vehicles and their MRO contracts is expected to be around $312.8 billion over this time, the report adds, and this demand is being driven by border disputes and a number of modernisation programmes underway by countries across the world. This market is mainly divided into main battle tanks (MBT), infantry fighting vehicles, armoured personnel carriers, mine-resistant ambush protected vehicles, light multirole vehicles, and tactical trucks. MBTs will account for 30 percent of the market, driven by large scale programmes in countries including India, China, Pakistan and other nations in the Asia-Pacific region, witnessed recently in Thailand with Ukranian and Chinese tanks. India is one example of a nation with a drive to bring technology in-country. Its ‘Make in India’ campaign is aimed at boosting technology transfer and increasing skilled employment. 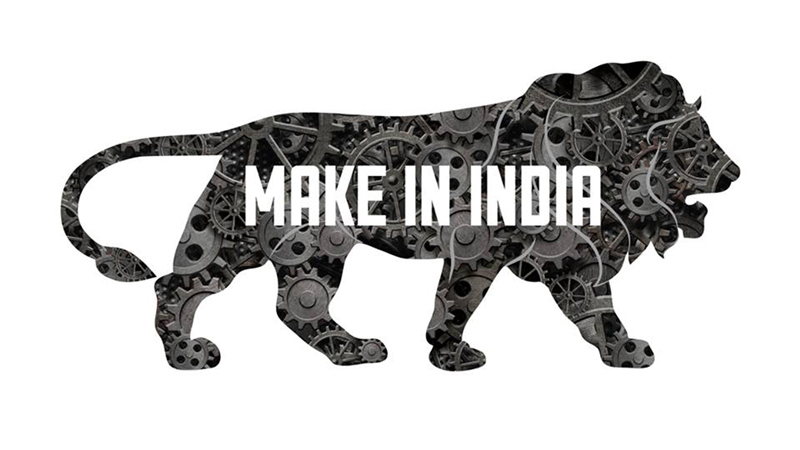 Make in India is a campaign launched by the Government of India to encourage national, as well as multi-national companies to manufacture their products in India. It was launched by Prime Minister Narendra Modi on 25 September 2014. India would like more MRO, particularly in the defence manufacturing sector. Photo: Indian Government. In order to maintain the fleets of equipment that have been identified by the Indian Ministry of Defence as key to upcoming requirements, including fighters, submarines, helicopters and combat vehicles, the maintenance of these systems will likely be done in country to meet both the demand of supporting large numbers of systems, and to keep work in India. It was also reported in August that India was planning to launch a programme to upgrade its T-90 tanks to increase its lethality by adding a new missile to the vehicle. Some 1,000 examples of the Russian-built tanks are due to be upgraded, but while New Delhi is in discussions with Moscow regarding the upgrade, it is understood that there is a move to transfer the work to India in order to rely less on outsourced support. The work will involve replacing the incumbent INVAR missile system with a gun-launched missile, reports claim, in order to add more capability. It is also looking to re-engine the vehicle to a more modular propulsion system to make it more agile. Out of the tank inventory India operates, an initial number were built in Russia, with further examples being built under licence in India. This move to transfer more technology in-country is both a sign of the push for more Make in India initiatives, plus an indication of New Delhi’s decision to rely less on Russian technology and support its programmes indigenously instead. Furthermore, India is also looking to acquire a new light tank to bolster the fleet, which is believed to be a move to further protect its territory against China, as border tensions in 2017 began to mount during a stand-off between the two nations over a plateau of land claimed by both China and India’s ally Bhutan. Reports began to surface in September 2017 that a new tank was being considered, which would be lighter (at around 22 tons) than the others operated by India. This was triggered by the appearance of Beijing’s testing of its new Xinqingtan light tank earlier in the year in Tibet. 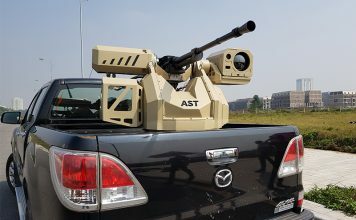 Whether this would be an indigenous light tank developed by the state-owned Defence Research and Development Organisation (DRDO) or a foreign purchase depends on the perceived urgancy of the requirement. If a conflict with China emerged, India would need an agile tank to tackle mountainous terrain. Should India proceed with the foreign acquisition, technology transfer would be sought. A relatively new player to this market, Japan has expressed an interest in setting up an MRO facility in India to support a potential buy of between 12-18 of its ShinMaywa US-2 amphibious search and rescue aircraft, as well as manufacturing parts in country, which would also cover exports should they come about. China has one of the strongest regional defence industries, and MRO is not missing from its priorities. It is also looking to influence its neighbours through defence investment to achieve its strategic aims. In February, it was reported that Beijing had financed a new MRO facility in Cambodia, which is seemingly a political push for the nation. Cambodia is a key allied target for China, which has an uneasy relationship with its neighbours and the United States. To this end, China has funded and transfered technology to Cambodia and the MRO facility is adding to this trend. An example of a technology transfer was the delivery of 26 military trucks – alongside 30,000 uniform sets – to Phnom Penh in 2014, the former of which are likely to come under the remit of the new MRO facility. A handover ceremony was held for this at the Trucking Battalion No. 99 facilities just outside Phnom Penh, during which the offerings were donated to the Royal Cambodian Armed Forces. “China hopes that the aid will help ease the difficulties of the Royal Cambodian Armed Forces, and will further promote ties and cooperation between the armies and peoples of the two countries,” Bu Jianguo, Chinese ambassador to Cambodia said at the time, according to the Chinese MoD. Australia, meanwhile, is carrying out its Land 400 programme, which is looking to modernise the nations’ combat vehicle capability under an $3.7 billion (AUS $5bn) effort. Land 400 will provide the army with a combat reconnaissance vehicle (CRV), infantry fighting vehicle (IFV), manoeuvre support vehicle (MSV), and an integrated training system (ITS). The replacement of the current fleet arguably raises questions about how MRO is carried out at present, as the vehicles are facing obsolescence issues that affect their ability to operate. The main priority for the army is to replace its Australian Light Armoured Vehicle (ASLAV) fleet with 225 CRV under Phase 2 of the programme. This is due to obsolescence factors that the Australian Defence Force (ADF) describes as constraining tactical employment and increasing the cost of ownership: “These obsolescence factors cannot be mitigated through upgrade and without replacement starting in 2020, a capability gap will result”. The IFV, meanwhile, will begin to replace the legacy M113AS4 armoured personnel carrier in 2025. The M113AS4 life of type is expected to continue until 2030, but it is not deemed fit for purpose due to its unsuitability against current and emerging threats, and it is not expected to be deployable for anything other than low intensity/low risk missions beyond 2025, according to the Australian MoD. A significant element of the work is centred around industrial development in Australia, with both contenders for the current ASLAV replacement phase of the programme teaming with Australian industry and developing manufacturing and maintenance facilities locally. 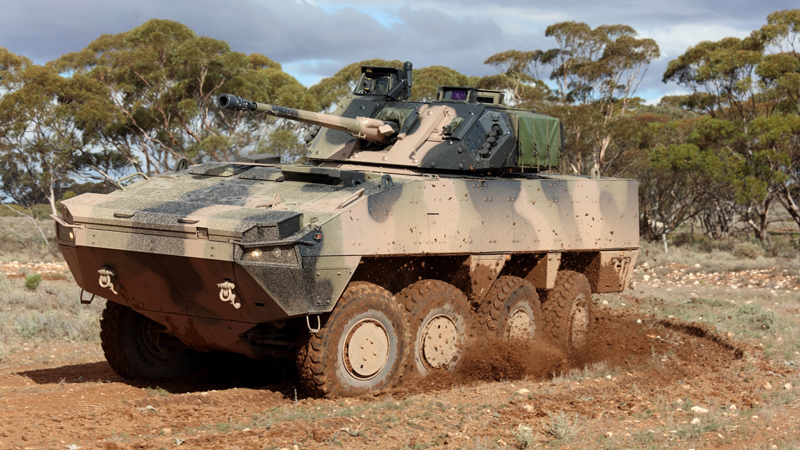 One team pitching for the replacement comprises BAE Systems Australia, BAE Systems Hägglunds, and Patria Land Systems, which together is offering the AMV35 CRV. Besides the vehicle itself, at the heart of the team’s offering is the manufacturing facility, which would be located in Victoria, and will provide some 200 jobs. BAE Systems has offered partner Patria’s AMV35 Armoured Modular Vehicle (AMV) inte-grated with the combat proven E35 turret from BAE Systems Hägglunds for the Australian Army’s LAND 400 Phase 2 programme. (Photo: BAE Systems). 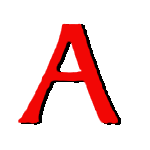 It would consolidate BAE’s maritime, aerospace and land businesses into one facility, and would initially cover manufacturing and simulation and training, but the plan would be to evolve it to cover the upgrade and maintenance of the vehicles over their lifespan that is expected to last aorund 30 years. The company announced its plans for potential development of the site in August 2017, saying it would be based at Fishermans Bend in Victoria. “Victoria’s defence industry is recognised for its world class capabilities and the companies that we have selected as partners have proven experience and leading-edge manufacturing capabilities,” BAE Systems Australia CEO, Glynn Phillips, said. In June 2017, BAE announced that it had signed contracts with Victorian defence industry companies worth $200 million, including Marand, MOOG Australia, Motec, AME Systems, RUAG Australia, DVR Engineering, Milspec and APV. They would participate in the M113AS4 replacement programme if selected. BAE would use the site as the central point for land programmes for Canberra, plus potential exports in the future. The company is also the OEM of the M88 Hercules recovery vehicle, M777 155mm, 39mm towed gun, and the M113 armoured personnel carriers, all of which are operated by the ADF. It will additionally develop autonomous systems, electronic warfare technology, hypersonics, and systems such as the Nulka ship-based decoy. BAE points to its naval sustainment business that provides MRO for the Royal Australian Navy’s ships as an example of how it can manage MRO support for the ADF. The other contender for the Land 400 programme, Rheinmetall, is also putting plans in place to manufacture and support its Boxer CRV. It will base the work in Queensland if awarded the contract, which would provide 450 long-term jobs over the next decade. In July 2017, it was announced that Rheinmetall Defence Australia would establish an Australia-New Zealand headquarters and a manufacturing and vehicle maintenance facility in South East Queensland. Of the 225 CRV expected to be procured under this phase of the programme, 100 of these vehicles are expected to be located at the Townsville and Enoggera bases, both in Queensland. 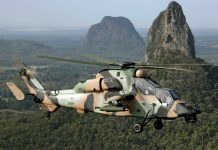 “If it wins, Rheinmetall has committed to design, manufacture and maintain its Boxer CRV vehicle, as well as its existing defence manufacturing and maintenance business, in Queensland,” said Curtiss Pitt, Queensland treasurer and minister for trade and investment. He added that the defence industry employs some 6,500 Queenslanders across the state, generating in excess of $3.17 billion (AUD $4.2bn) annually. “Clearly this is big business for our state and we’re well equipped to meet the future requirements of the major global defence industries and that’s why we’re confident we can bring the contract to Queensland,” he added. In order to supply the Boxer CRV to the army by 2022 if selected, Rheinmetall will have to complete the manufacture and MRO facility by mid-2020. A contract for this phase of the programme is expected to be awarded in the first half of 2018. Regarding aircraft, on 29 August 2017, Elbit Systems announced that it had been awarded a contract worth some $123 million (£93m) to upgrade and overhaul a Northrop F-5 fleet. The Thai Air Force has had such a requirement and since 2015 has already upgraded 10 aircraft to F-5E Tiger IIs, completed in 2017. 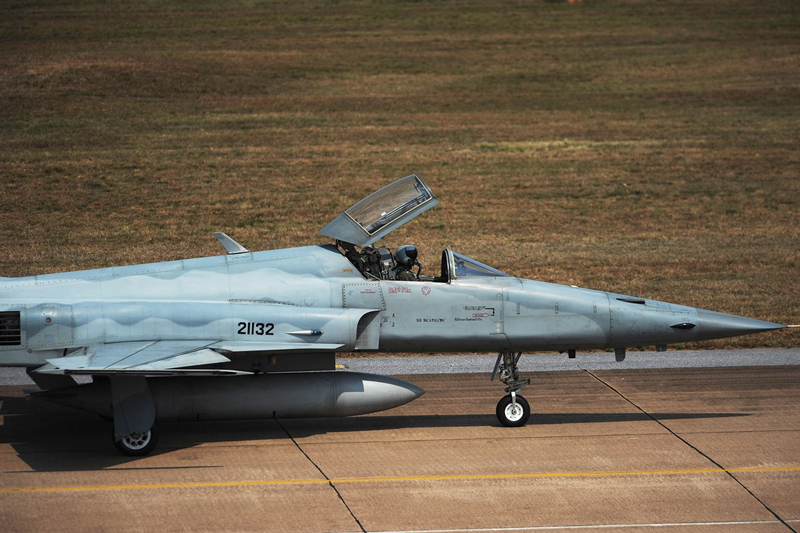 Israeli companies including Elbit are assisting Thailand to upgrade its Royal Thai Air Force Northrop F-5T II fighters. (PHOTO: US AIR FORCE). Over a three-year period, Elbit has revealed that it will provide ‘cutting edge systems’ including head-up displays, an advanced cockpit, radars, weapon delivery and navigation systems, plus the Display and Sight Helmet System (DASH) IV head-mounted systems. This is leveraged on previous experience gained in upgrading F-5 fleets. “We are proud to have been selected to perform this upgrade programme, building on our vast know-how and experience in F-5 modernisation projects,” explained Yoram Shmuely, Elbit Systems Aerospace Division’s general manager. “We have witnessed a growing demand for similar upgrades, and we trust that further customers will follow, benefiting from a mature aircraft upgraded with the most advanced technology in the market.” Other Asia-Pacific operators of the F-5 fighter include Malaysia, Singapore, South Korea, Taiwan, Vietnam and the Philippines. Vietnam seems to be following India’s lead in moving away from dependence on Russian support for its fleets, as Russia tries to shake its reputation for insufficient support of technology that it has transferred into the region. 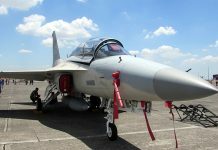 The Vietnam People’s Air Force has sought the assistance of Ukraine to help bolster its A32 factory, reports claim, which will further the ability of the nation to support its own Sukhoi fighter fleets in country. The A32 was established so that Vietnam did not have to rely on overseas MRO of its fleets. Defence sales to the Asia-pacific have for some time relied on a willingness from industry to embed development in the countries it is selling to, and this logically extends to the maintenance and support of the systems. However, to date this has focused mainly on older systems without higher technology.